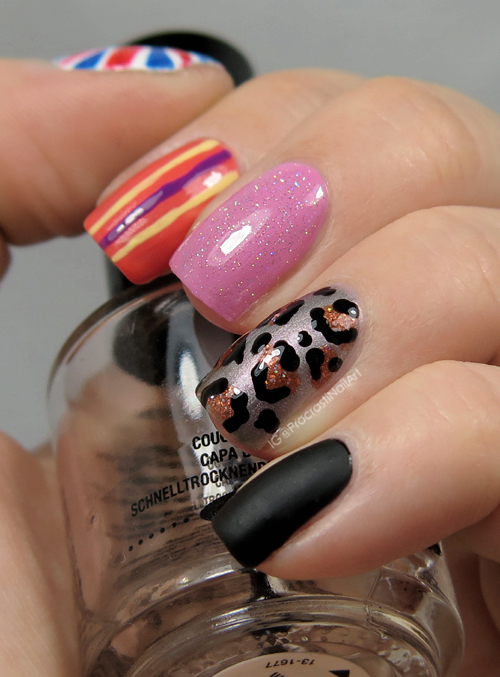 Nail Art // The Digit-al Dozen Does Decades: Zig-a-zig Ha! 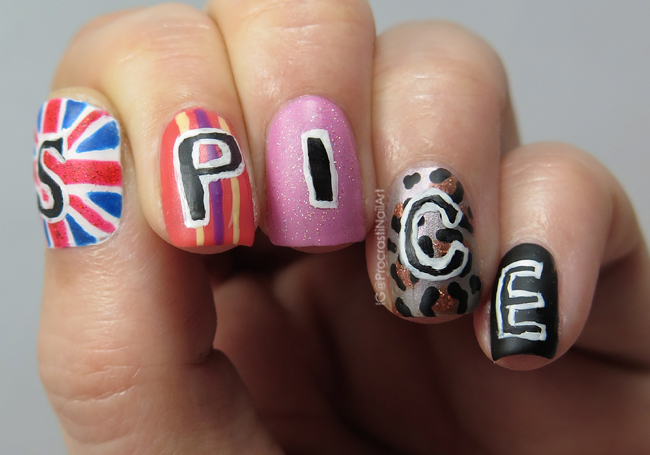 Spice Girls Nails for the 90's! Alright, I shook myself off and decided to do something I could really get excited about for today's prompt! Thanks for the encouraging comments last time, the really helped me to sit down and think about what I wanted to do today, what would be FUN for me to do. 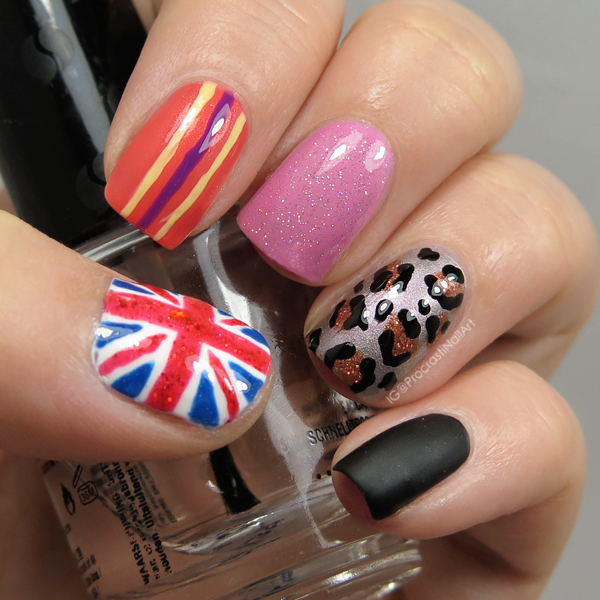 And I decided to go with nails inspired by my favourite 90's girl band of all time! You also get to see my rarely-visible thumb, which... I'm not actually super pleased about haha. I like the design I did on it, but my thumb is so ugly!! Ahhh! I hope you don't mind how short and rounded it is compared to the rest. ANYWAY I know what you want (what you really really want) is to see my nails, so let's get to it! So let's take a minute to break down all of the polishes I used... It's a lot, are you ready? Okay, here we go! Phew! Lots of polishes! 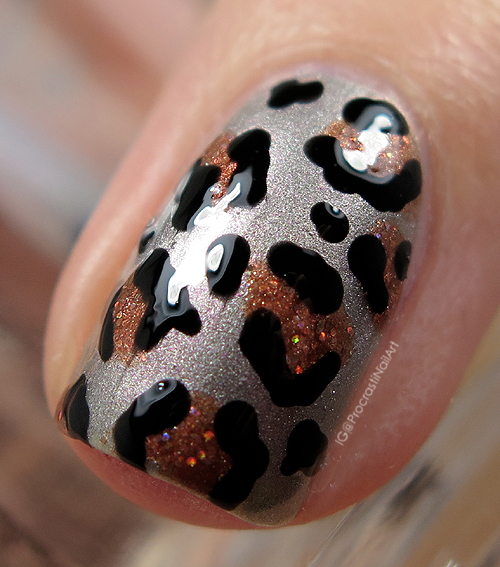 Let's take a closer look at some of my favourite nails! Fun! None of the designs I chose were particularly difficult but I still quite like them. :) They definitely fit with the 'themes' of the girls! AND THEN for more fun, I decided to do some freehand lettering because why not! I used black and white acrylic paints and then sealed it all with a matte top coat. This is my second-to-last look for our 'Decades' theme and while I've had fun I'm going to say I won't be sad to see it go haha. I already have ideas for next month, but this theme just escapes me for the most part. Ah well. See you tomorrow for my final 'Decades' look! You're brilliant. 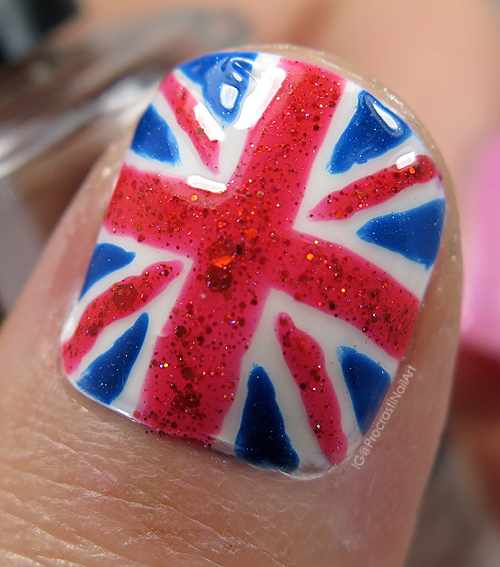 This mani rocks. Takes me back and makes me happy! Oh my! LOVE! That song always makes me think of the movie Sleep over! Hehe! Love all of the colors you used and your thumb looks great! Like perfect actually! Plus I love that is sparkles! Epic! Awesome! Rad! The thumb is my fave but they all turned out great! Gah, these look awesome!! Your lettering turned out really well too! Ahh! Spice Girls!! One of my all time favourite girl bands. 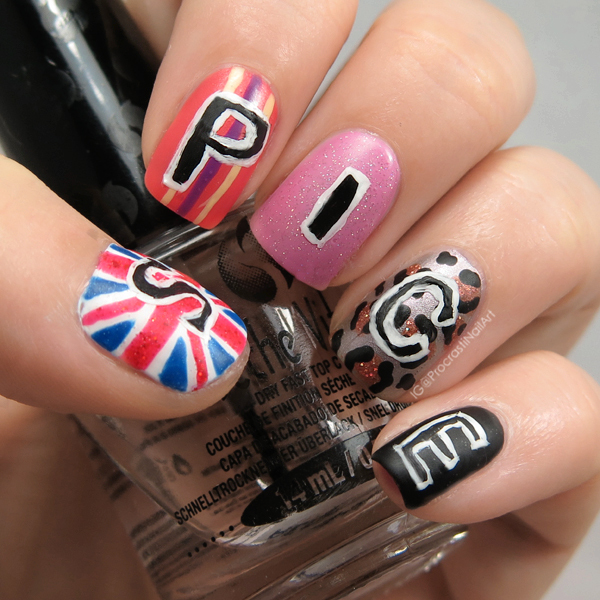 Your mani is just perfect! Love it and it's even better with the SPICE!